The world is well aware of the temptations that Thailand has to offer – low living costs, white sandy beaches, and realty that costs a fraction compared to many western countries. It is possible that you have decided where you are going to live after retirement or are considering relocating. With that said, you may be looking for a property that will cater to your living needs in Thailand. With a wide range of jobs on offer and the vibrant culture, Thailand is a popular choice for people to live and work. However, if not preceded carefully, you may fall victim to the real estate scams that Thailand is notorious for. Below are some tips on property investment if you considering buying a property in Thailand. However, expats cannot directly own land in Thailand. There are two ways foreigners can own property in Thailand. Leasehold: you can choose to lease the land for a maximum of 30 years, which is renewable up to three times depending on the owner of the land. Through a Thai limited company: a Thai limited company will own the property on your behalf. You can only hold 49% of the shares. However, if you are a US citizen, you can have full ownership of the Thai limited company (based on the Thailand-US treaty). With the help of sites like Thailand Flat, that connects developers, property owners, sellers, and buyers, you can find the property of your dreams within your budget. Thailand has a multitude of cities and neighborhoods, with hundreds of potential condominium projects. Hence, it is crucial to perform due diligence into Thailand’s local real estate markets, determine the conditions and general demand for an area. Availing services from a trusted property manager or real estate agent will be a great benefit, as he/she will help you find the right spots and locations according to your requirements. You will require legal planning when you are purchasing property in Thailand. For starters, you will be spending a part of your life savings into a property that you want to perform well in all aspects. 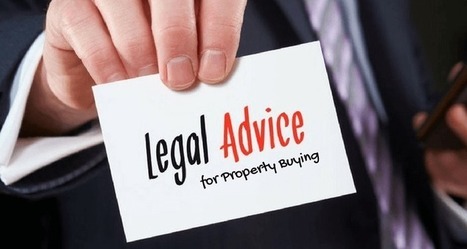 A lawyer will help you with the correct procedures for a foreigner buying property in Thailand. Once everything is settled, you will be paying the seller a percentage of the total cost of the property. This will enable the seller to reserve the property for you. After you make the deposit, the seller will prepare the contract papers. At the time of signing the contract, you would want your lawyer to be present. READ How to Plan for a Perfect Move?